WALLACE HUME CAROTHERS, A CHEMIST, MADE AN INVENTION DURING THE FIFTH YEAR OF HIS CAREER AT DUPONT. HE GOT THE PATENT FOR THE PRODUCT, WHICH HE CALLED “POLYMER 6-6”, ON FEBRUARY 16, 1937, AND PROBABLY GOT HIMSELF DREAMING ABOUT THE FUTURE AND THE MYRIAD AREAS OF UTILIZATION OF THE PRODUCT. 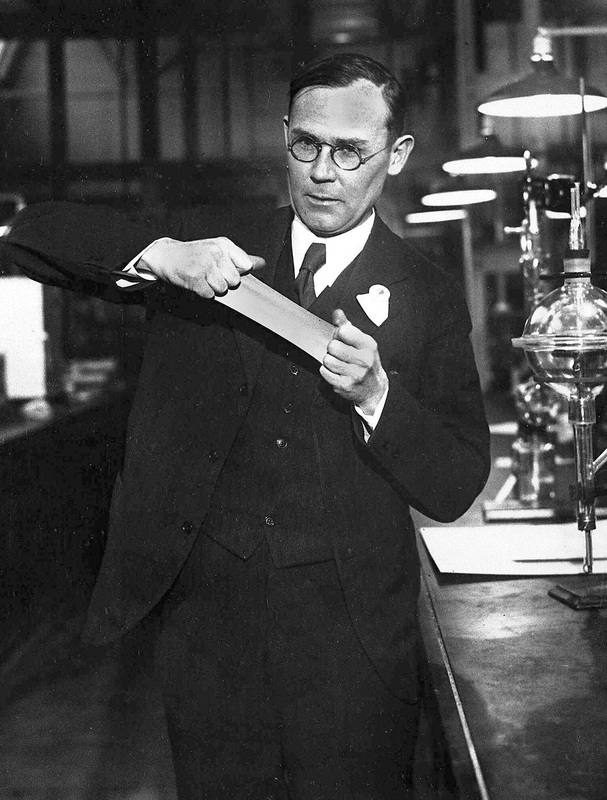 WALLACE HUME CAROTHERS, A CHEMIST, MADE AN INVENTION DURING THE FIFTH YEAR OF HIS CAREER AT DUPONT. HE GOT THE PATENT FOR THE PRODUCT, WHICH HE CALLED “POLYMER 6-6”, ON FEBRUARY 16, 1937, AND PROBABLY GOT HIMSELF DREAMING ABOUT THE FUTURE AND THE MYRIAD AREAS OF UTILIZATION OF THE PRODUCT. Carother’s dreams were, most likely, trade-oriented, but polymer 6-6, in other words nylon, ended up having a terrific cultural impact in a totally different area: Women’s stockings. Even though there have been speculations about the origin of the name ‘nylon’ claiming that it -particularly the letters N, Y and L- came from the conflation of New York and London, the name was actually created in amore haphazard way. For instance, the ‘on’ at the end was simply added to make it similar to the natural fiber, ‘cotton’, and manufactured fiber, ‘rayon’. DuPont’s marketing genius took it from there. 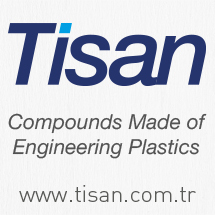 The product’s strength and elasticity were highlighted. Hence, it was brought to market as a material that was “better than silk”. This claim was so effective that it created great expectations on the part of the US government in terms of reduced silk imports from Japan. Of course, statements like “as strong as steel, as fine as a spider’s web” and “man’s very first synthetic fiber” contributed greatly to these expectations. However, nylon failed to meet these expectations, especially in terms of strength. On the other hand, a huge consumer base -or, to put it better, a fan base- that did not mind its shortcomings and was instead fascinated by its elasticity, practicality and aesthetic appeal was being created. DuPont made clever use of this situation and developed its marketing strategy accordingly. Hence, the 4,000 pairs of nylon stockings produced in the first batch were sold-out within three hours during the public launch event. 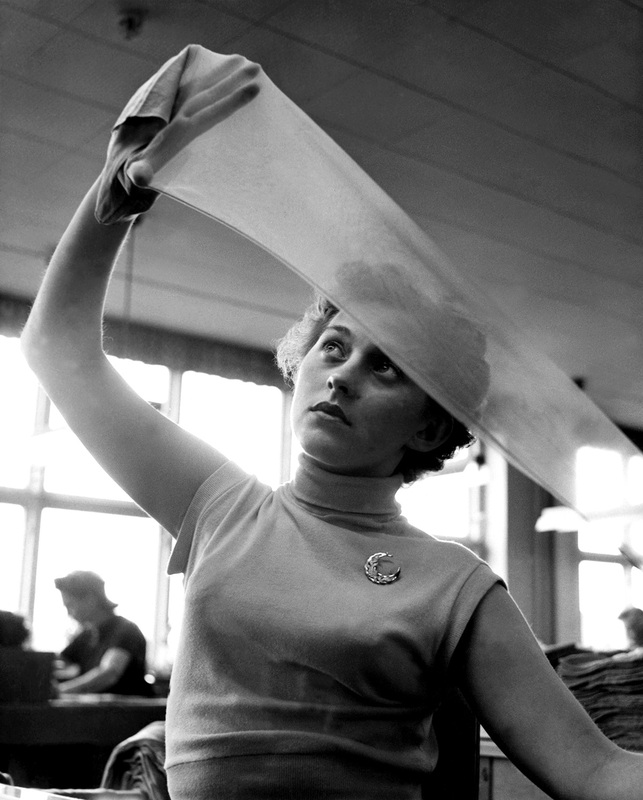 Nylon stockings quickly became an indispensable part of women’s fashion, and even turned into a fetish item. 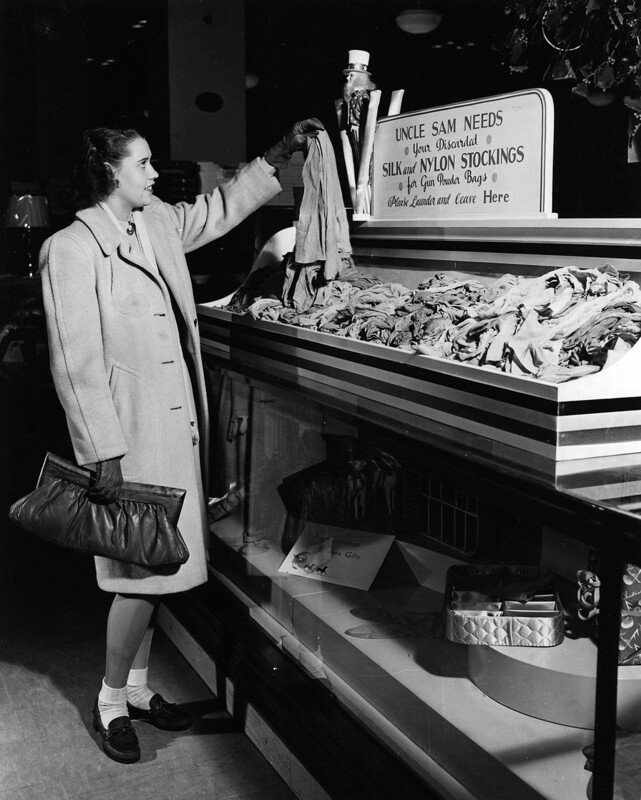 64 million pairs of stockings were sold in the first year. What’s more, they were twice as expensive as silk stockings. 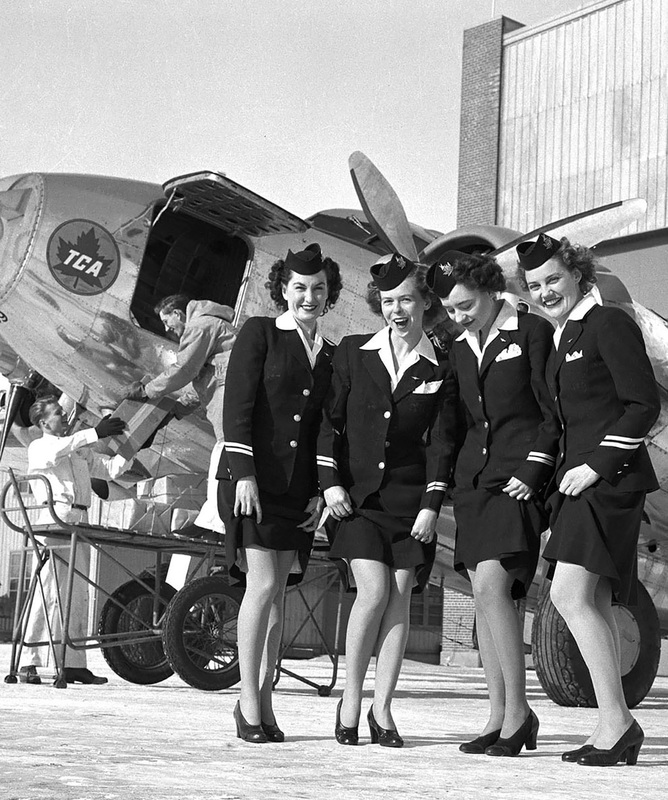 With the onset of World War II, stockings went on the black market, because DuPont halted its apparel production and focused solely on the production of parachutes for the US army. The war with Japan had put an end on the silk imports as well. 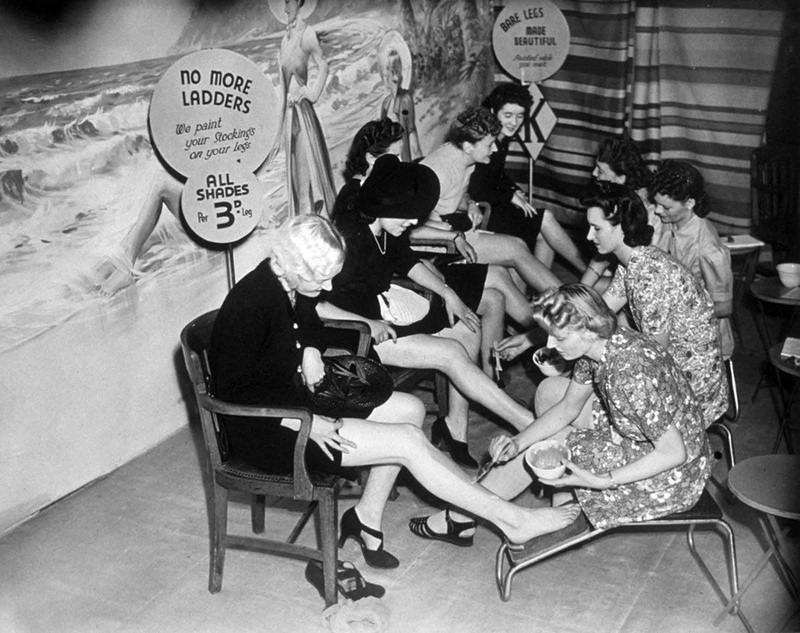 Under these conditions the price of stockings went as high as $20 per pair. 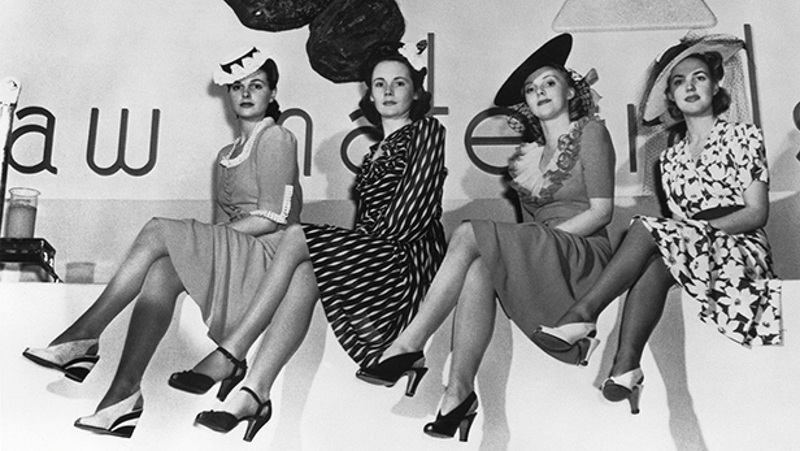 The obsession with nylon stockings, which were thought to be a lot sexier, was so wide-spread that some women simply painted their legs a tone darker and drew lines behind their legs to create the illusion of stockings. 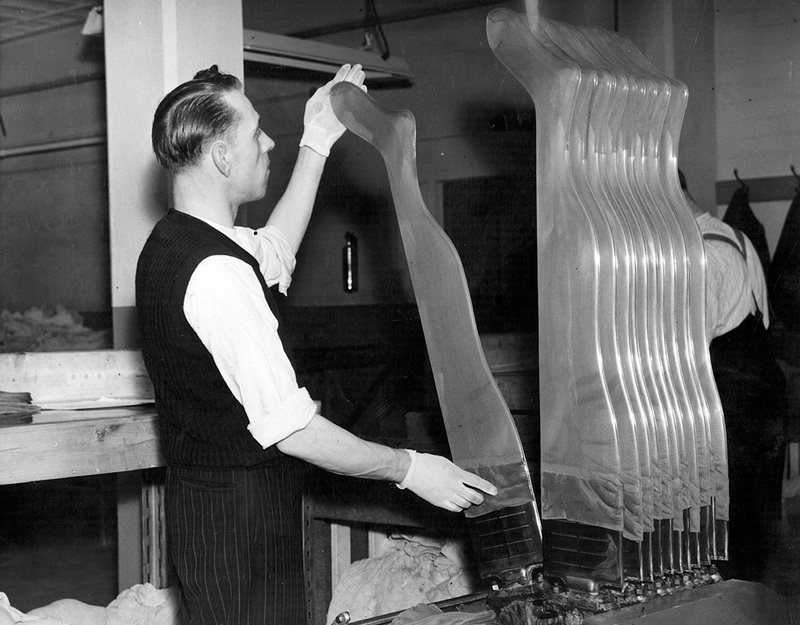 DuPont re-started producing stockings in 1946, but the company struggled to keep up with market demand. So much so that, once a total of 40,000 people lined up for 13,000 pairs of stockings. 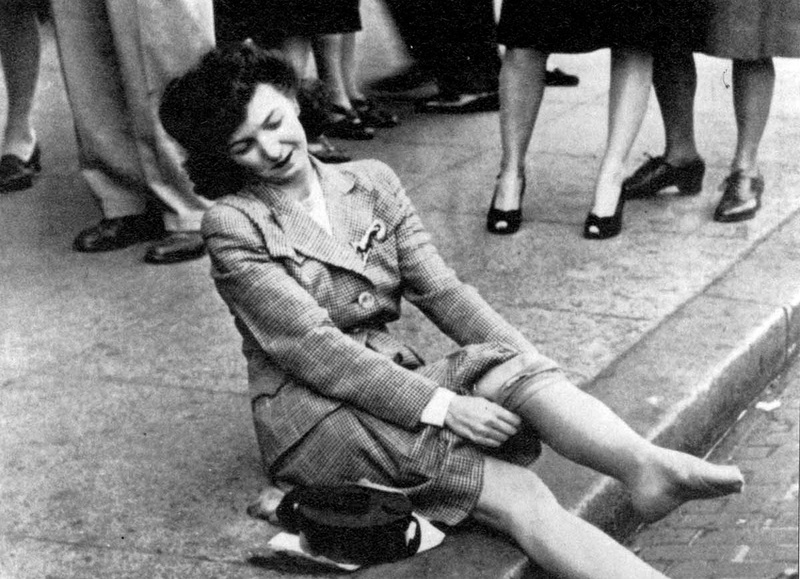 The disturbances caused by women trampling each other for stockings went down in history as “The Nylon Riots”. 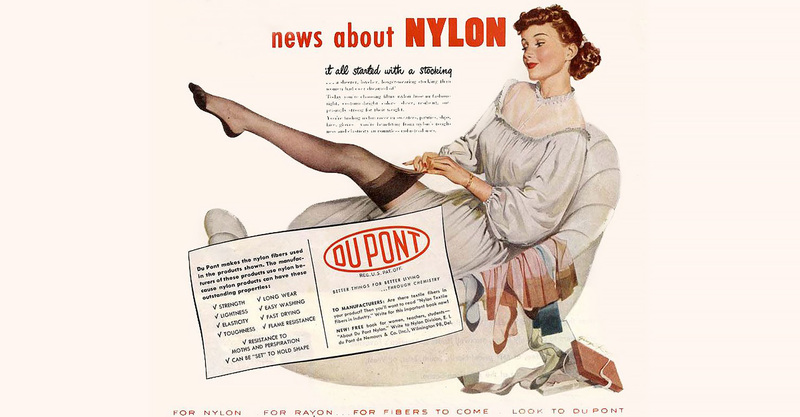 As it failed to meet the demand for stockings, DuPont was threatened with law suits and finally agreed to share the production licensing and allow other companies to produce nylon, which was received with joy especially by women. Today, nylon and its derivatives are being used in many more areas. The market is around US$20 billion per year. Research shows that one kilogram of nylon has the same carbon footprint as one kilogram of wool. 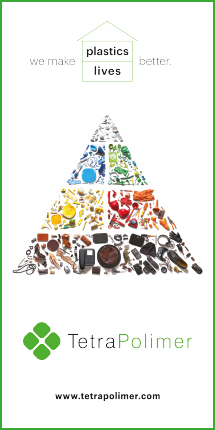 Additionally, carbon has the advantage of easy recyclability. 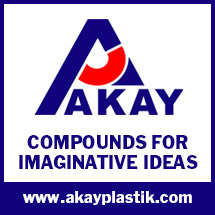 It is a cheaper and lighter alternative to many materials. And it still is the number one actor in women’s fashion.